During the roof/chimney inspection a lack of a spark rain cover was noted. In this case, water has been leaking where the metal flue from the furnace mates the masonry chimney. We recommend rain covers/spark arrestor caps on all chimneys. In extreme cases, water can leak out of the base of the chimney, staining floors and leaving sooty residue. 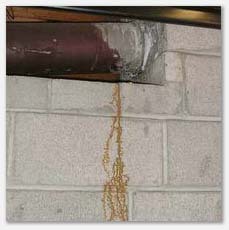 Water entering the flue can cause deterioration of brick and mortar. 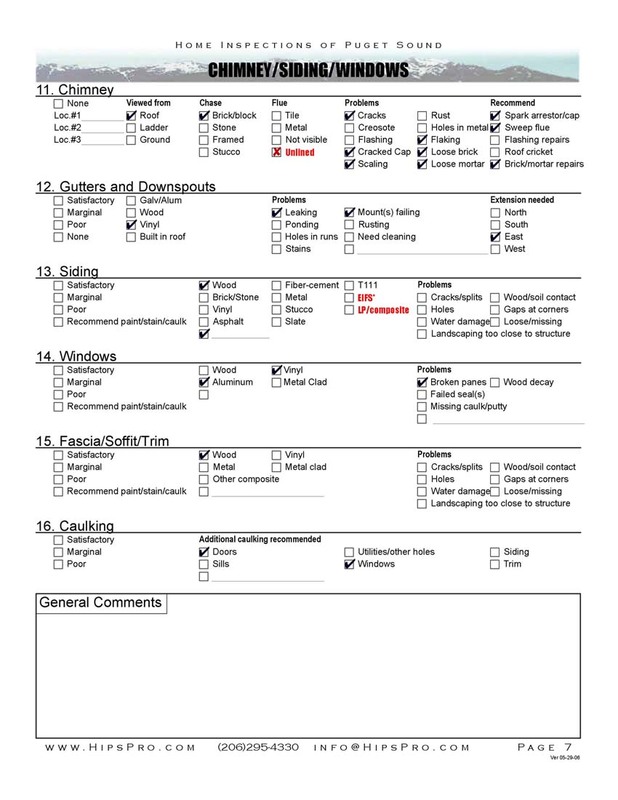 See our sample chimney report here.